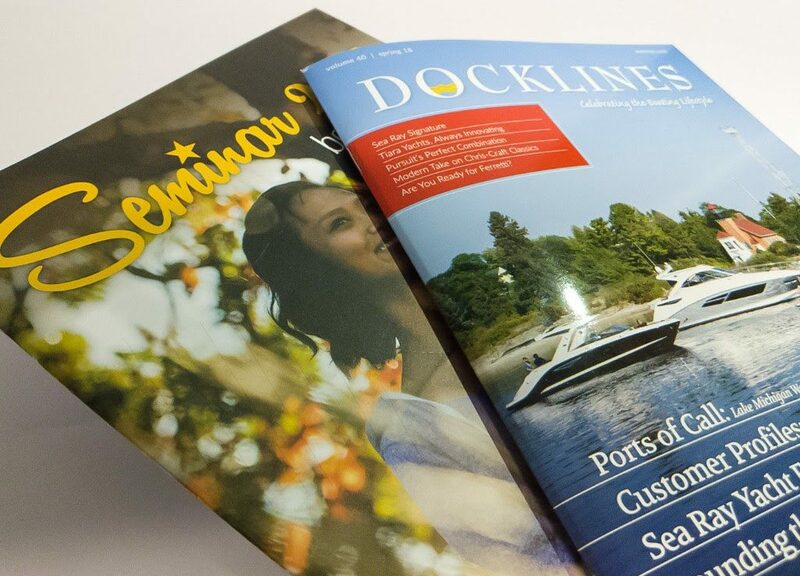 Paper choice can often times be the most important decision you make when it comes to completing your printed project. 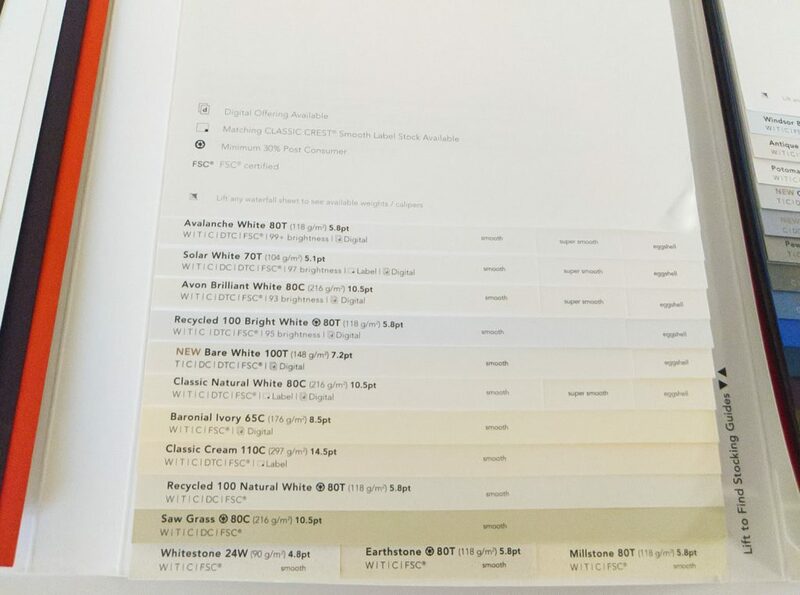 Varying paper types can convey a unique message depending on its texture, color, brightness, or weight. 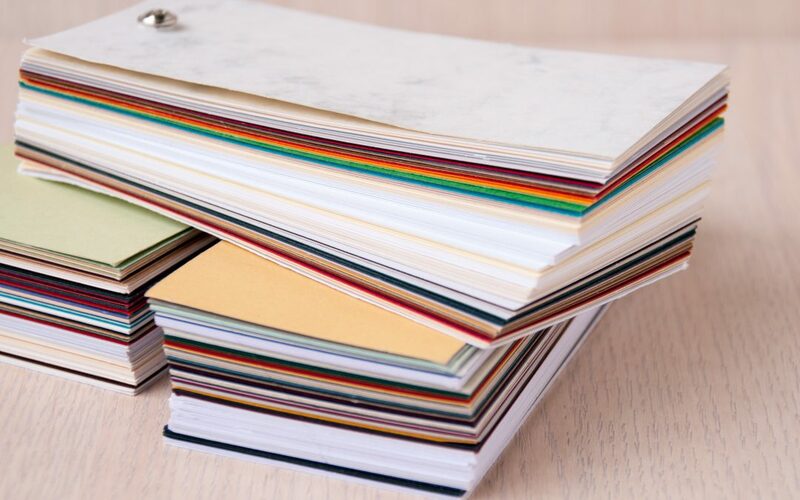 Selecting the right paper may sound overwhelming, but we created this simple guide to make you feel confident in your decision. All paper starts out uncoated. 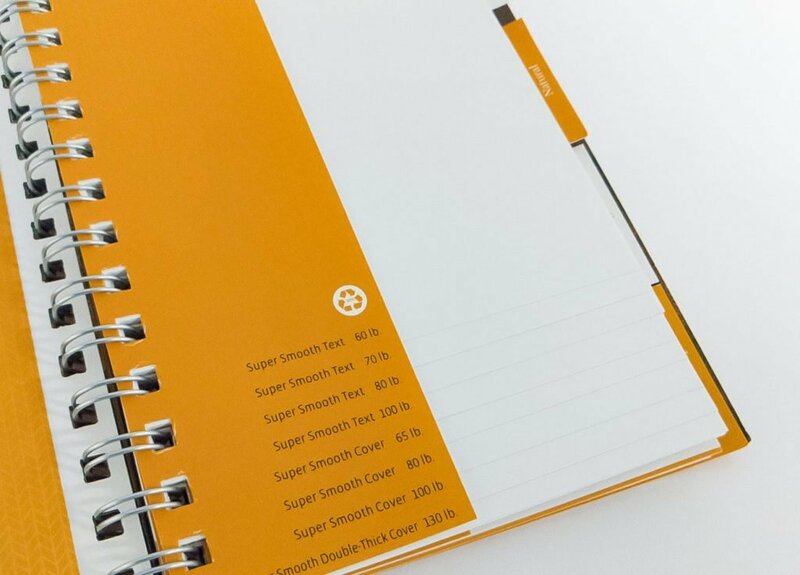 It is very porous and absorbs more ink, making uncoated paper a great choice for projects that will be written on. Coated paper results in a smoother presentation, because the ink is held closer to the surface for a more defined image than uncoated papers. There is a wide range of coated paper, starting with a dull/ matte finish, to very glossy. Contrary to popular belief, all kinds “white” papers are not the same. There is a spectrum of brightness, measured on a scale from 1-100, to evaluate how much light is being reflected off the paper in a singular wavelength. (The higher the number, the brighter the paper.) 88 and above is considered premium, with 5 descending grades to follow. When choosing the color of your paper, it’s important to keep your ink colors in mind. 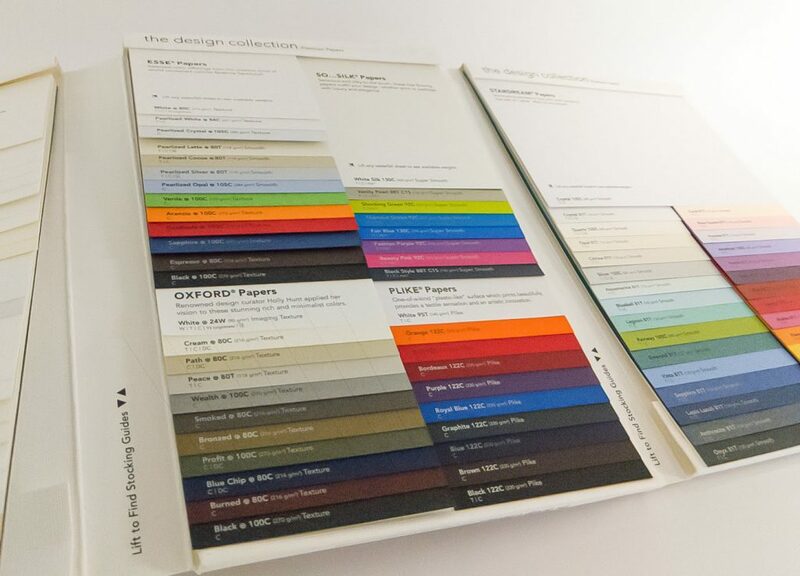 Four color process printing (CMYK) is best represented on neutral white paper, however, you can reduce cost by selecting a colored paper and printing with just one ink color. If you’re considering going down this path, using metallic paper is a great way to make your project stand out. The rich, metal-like surface of the paper creates an eye-catching, shimmery appearance. The two most common categories of paper used are text and cover. Text is most commonly used for stationery like letterhead or brochures. Cover is a thicker hard stock, used for postcards or business cards. Keep in mind, heavier media like cover stock often provides durability, conveying higher quality.